And… I skipped breakfast for this?! After finding out my cold has morphed into allergies (ah, Spring has sprung early this year, according to the nice ENT doctor), and my hearing in my right ear has lost the high tones (not good at all) :(, I was famished, but I had to return back to work in Queens. The protein pack, complete with peanut butter, bread product (? ), hard-boiled egg, apple slices, cheese (didn’t eat it) and grapes, had been a safe bet in the past, but today, the egg was still frozen. It was gross, encountering my first frozen hard-boiled egg ever. 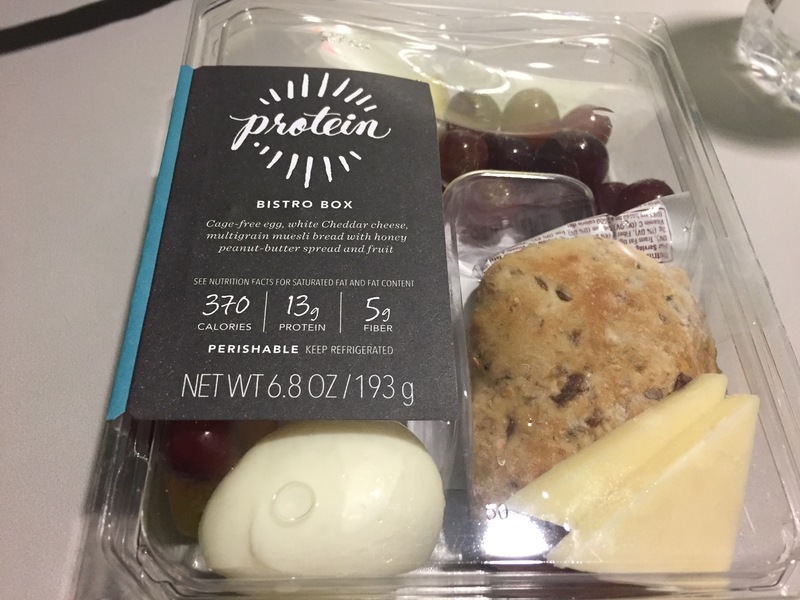 Since I already chucked the cheese in the trash, the only protein that was working was the peanut butter, but the bread product also looked stale, so I didn’t touch it. So, my breakfast/lunch (I’m not considering this as brunch) today consisted of three squeezes of peanut butter from a tube, four slices of apples that were not frozen, the grapes, and three petit vanilla bean scones. And, as always, the tea was awesome. I wish I could say the same for the lunch pack. Oh well, you can’t win them all, I guess.